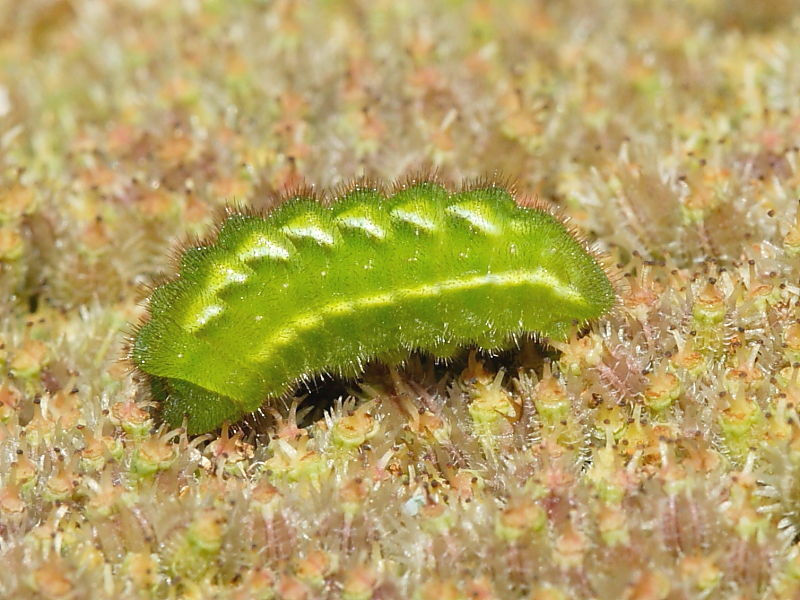 This gallery includes photographs of the most commonly recorded butterfly caterpillars in the British Isles as well as some of those less frequently seen. 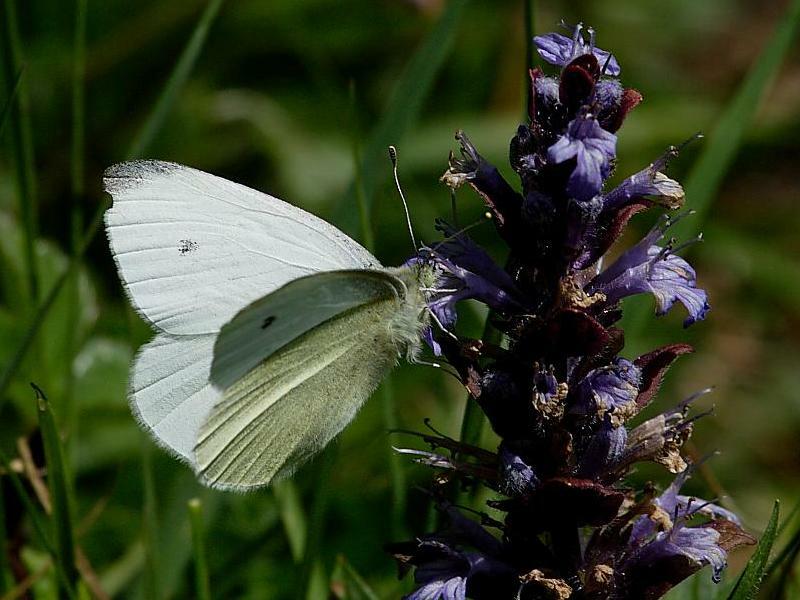 On specific species pages are photographs and information of the complete life cycle with photographs of butterfly, egg, caterpillar and chrysalis. 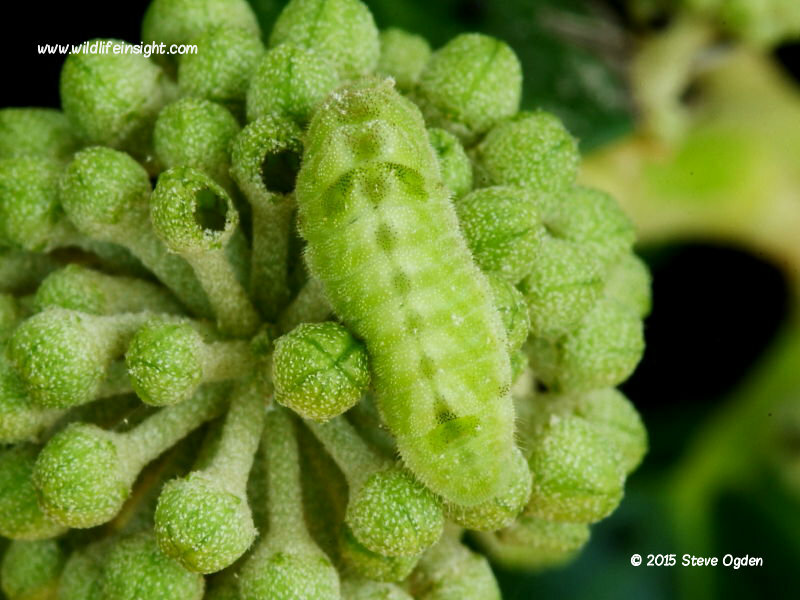 In this Butterfly Caterpillar Gallery the photos are of fully grown butterfly caterpillars (larvae). 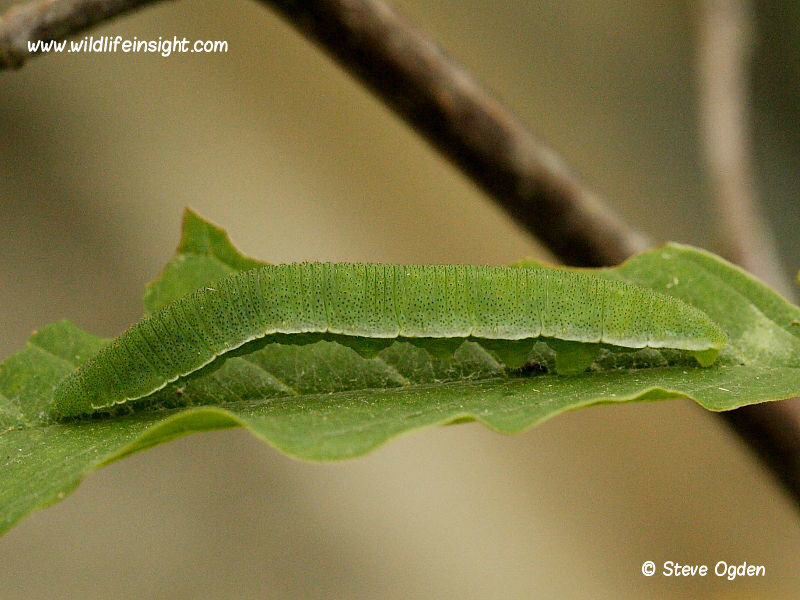 Many caterpillars dramatically change in appearance and not just size as they grow, with some species having different colour forms within the same batch. Many of these feature on the species pages. 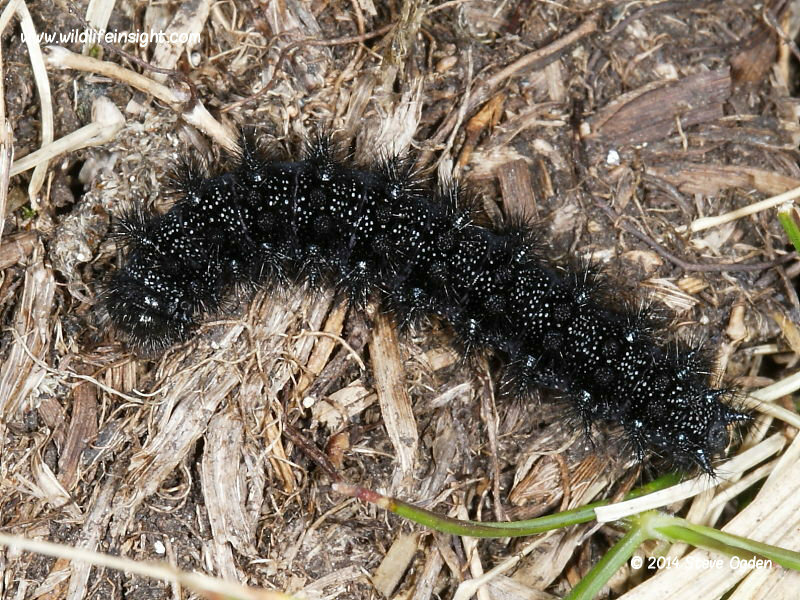 A few species can be difficult to identify from photographs and other information is then often helpful – see help with caterpillar identification. 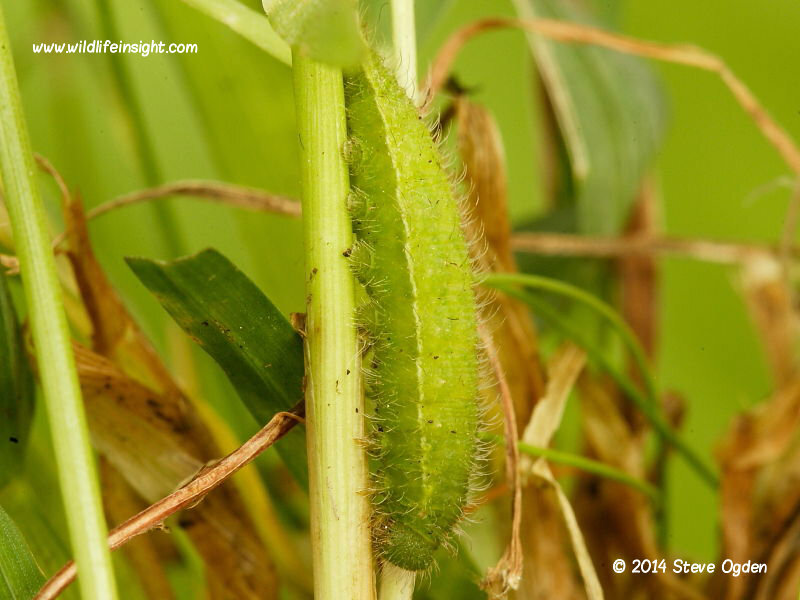 The caterpillars of the most common skipper butterflies in the British Isles, the Small Skipper Butterfly and Large Skipper Butterfly, live hidden in a stitched together or rolled grass leaf. 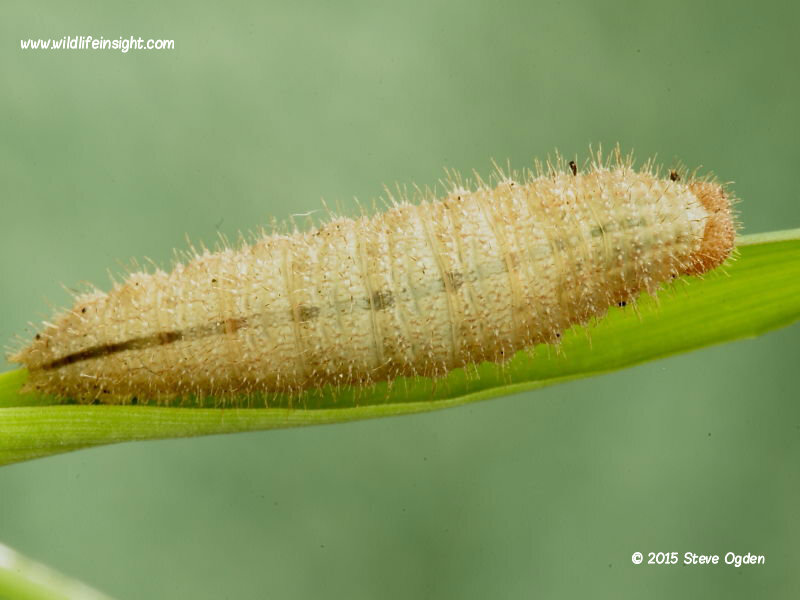 The Pieridae butterfly caterpillar picture gallery includes those often referred to as Cabbage White butterfly caterpillars by gardeners who regard them as vegetable pests. 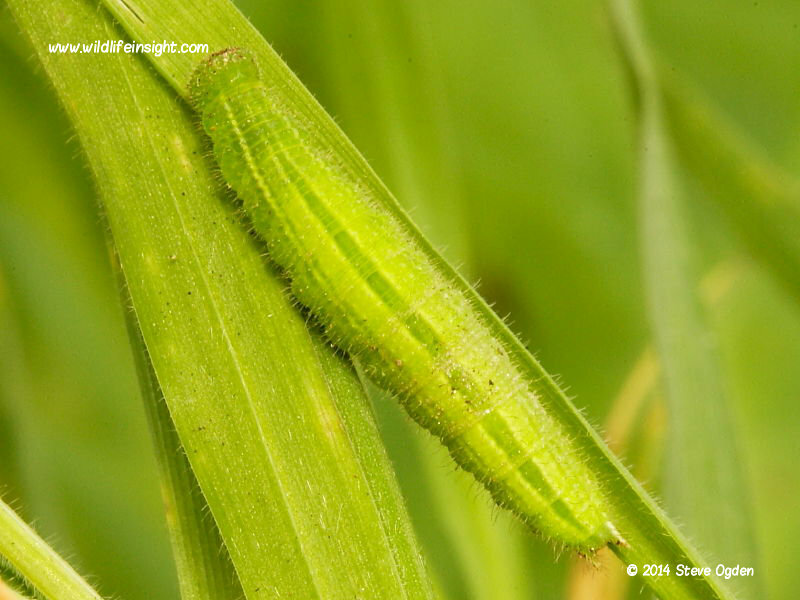 These are the caterpillars of the Large White Butterfly, The Green-veined White Butterfly and Small White Butterfly. 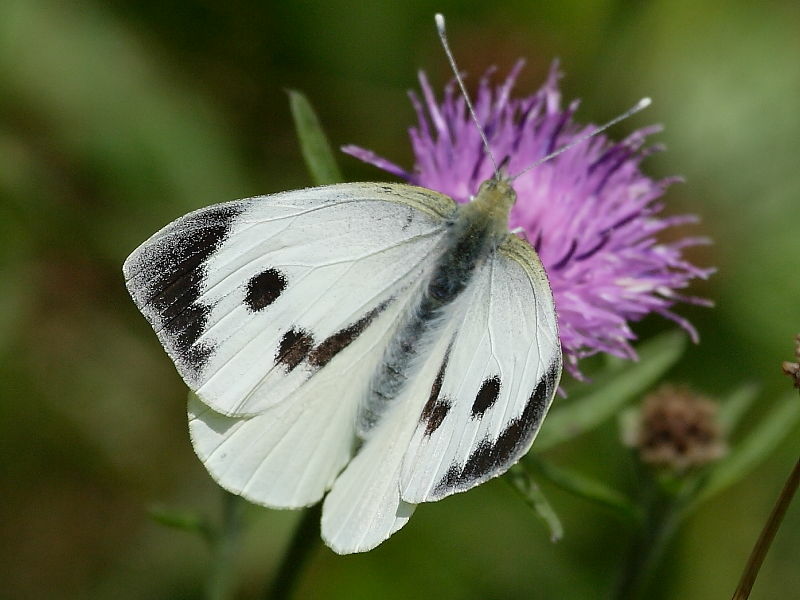 Also in the Pieridae family are the caterpillars of the Orange-tip Butterfly and The Brimstone Butterfly. 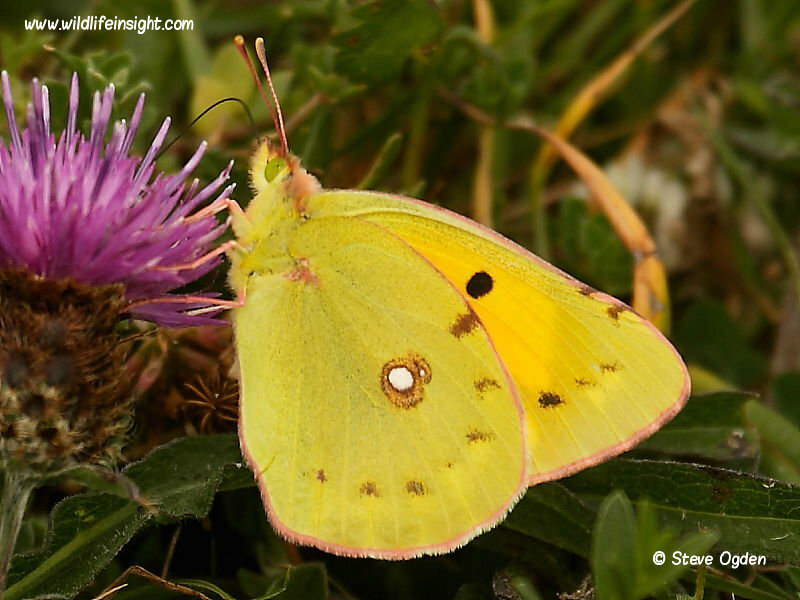 The caterpillar of the migrant Clouded Yellow Butterfly is also included as this species may produce one or two broods of caterpillars during the summer in the warmer southern parts of the British Isles despite not being able to survive the colder winters as either an egg, caterpillar, chrysalis or adult butterfly. 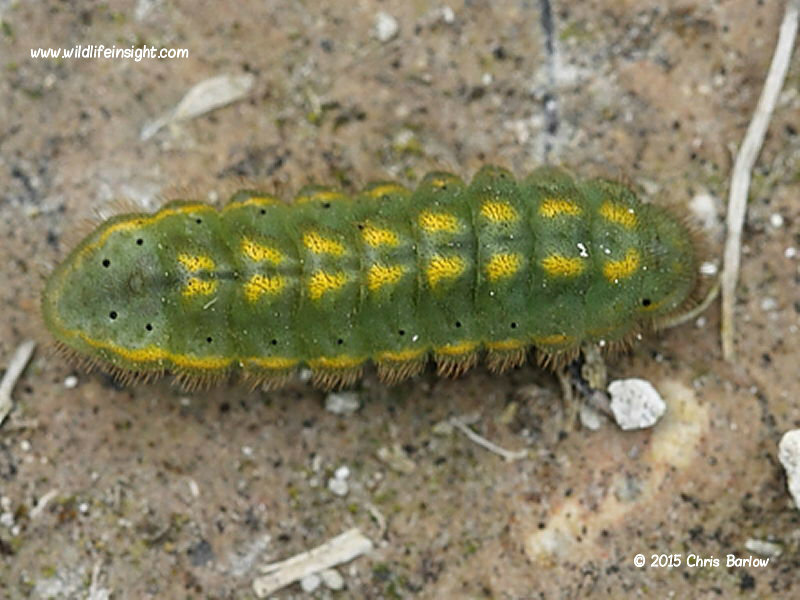 The Lycaenidae caterpillar picture gallery includes caterpillars of some of the most common Blue butterflies, the Hairstreaks and Coppers. 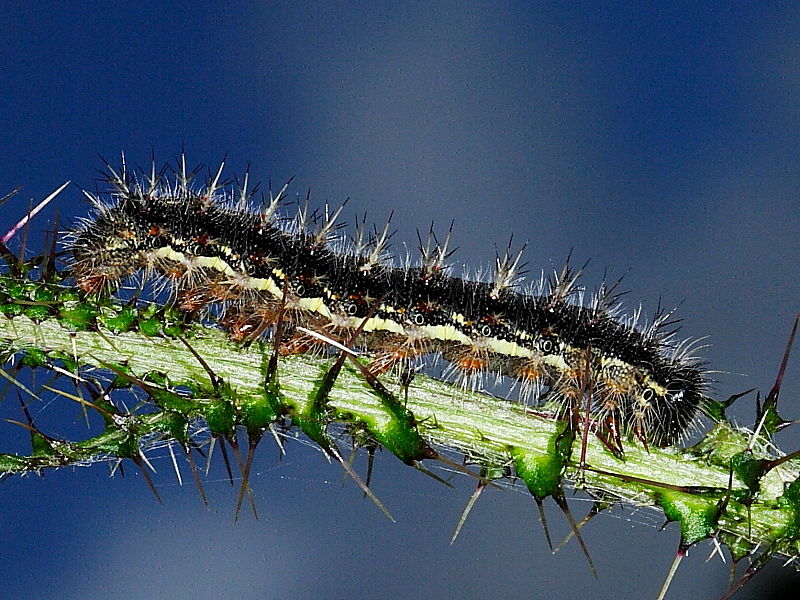 The caterpillars of these species are less likely to be found unless specifically searched for. 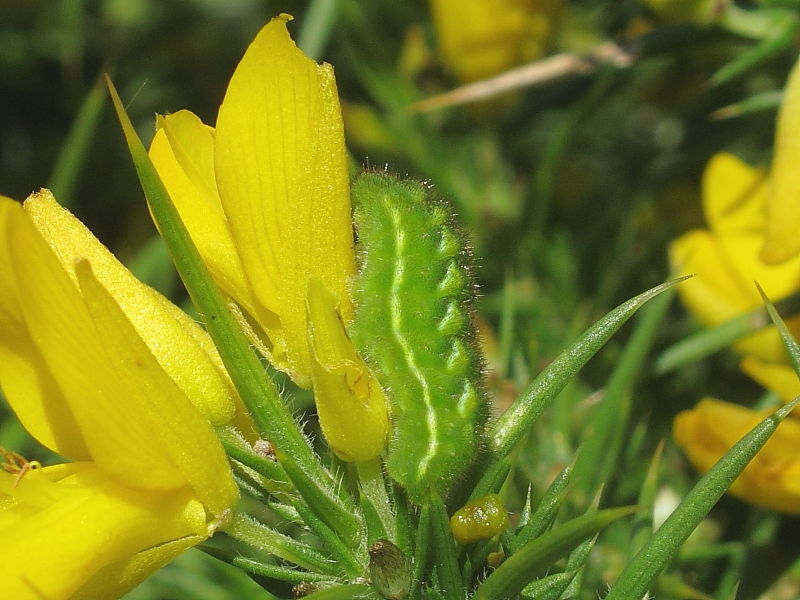 The caterpillars of the Common Blue Butterfly, Silver-studded Blue Butterfly and Holly Blue Butterfly may be common locally but feed out of sight amongst the food plant. 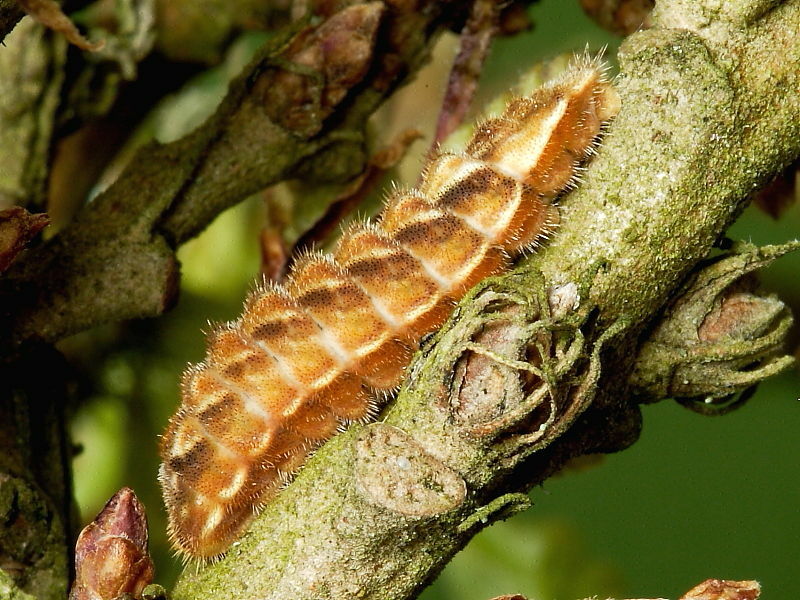 The only likely species of Copper butterfly caterpillar to be found in the British Isles is that of the Small Copper. 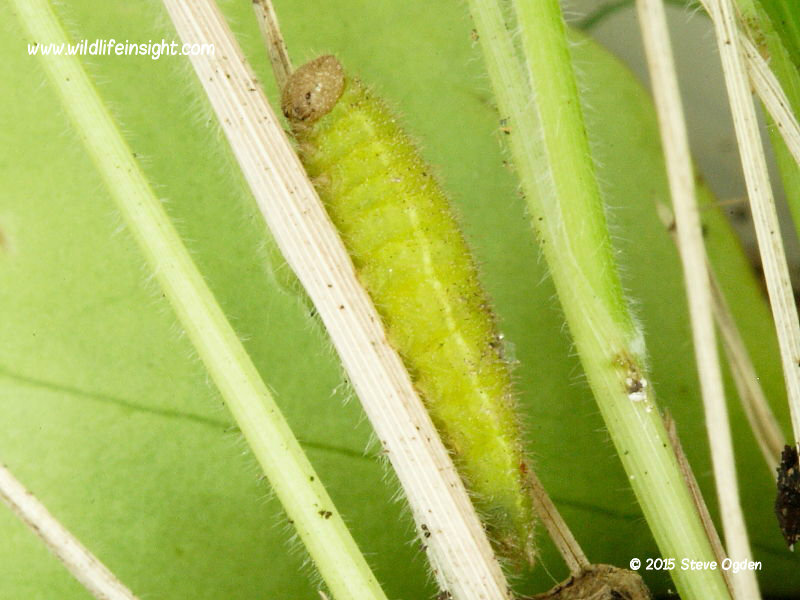 The caterpillars of this relatively common species also feed out of sight amongst the food plant. 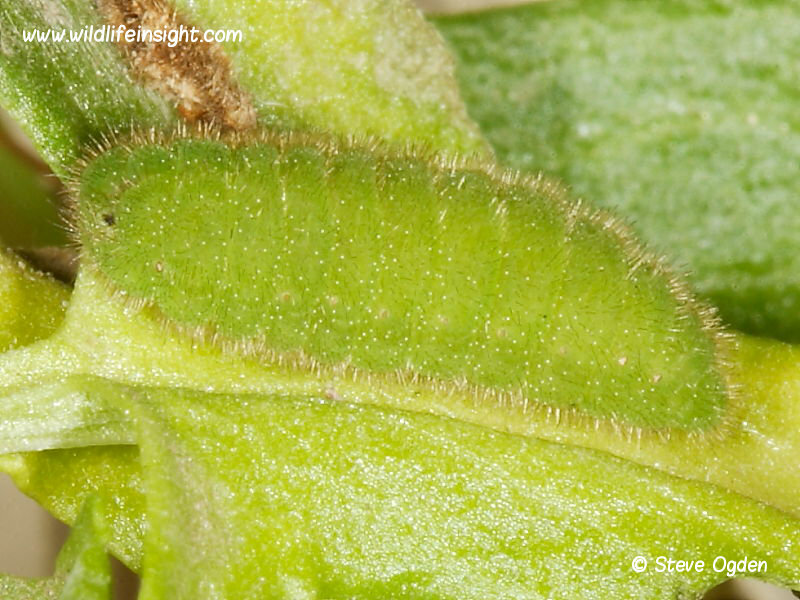 Of the species of Hairstreak butterflies the caterpillar of the Green Hairstreak Butterfly is the most likely to be found. 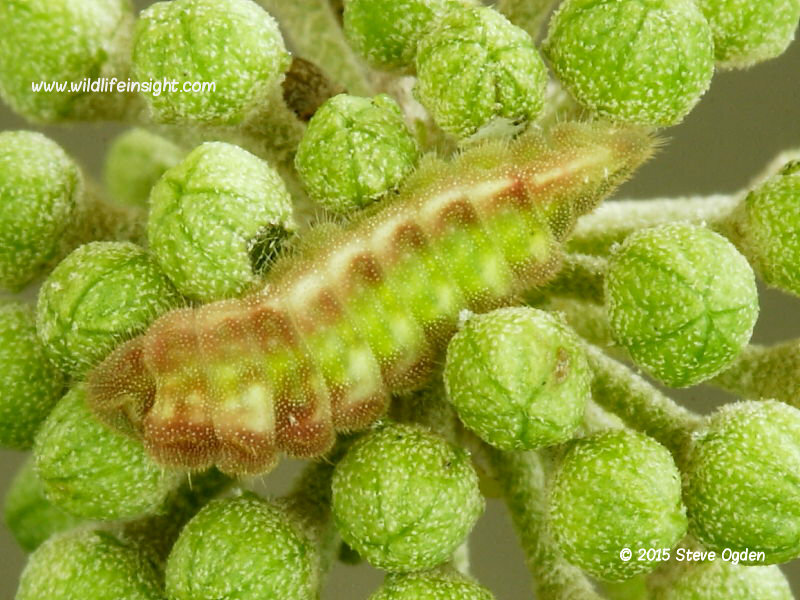 While the cryptically marked caterpillar of the other most commonly sighted species of Hairstreak, the Purple Hairstreak Butterfly, requires diligent searching for, being very difficult to spot amongst the buds of Oak Trees. This large family includes the caterpillars of the most commonly sighted garden and countryside butterfly species in the British Isles. 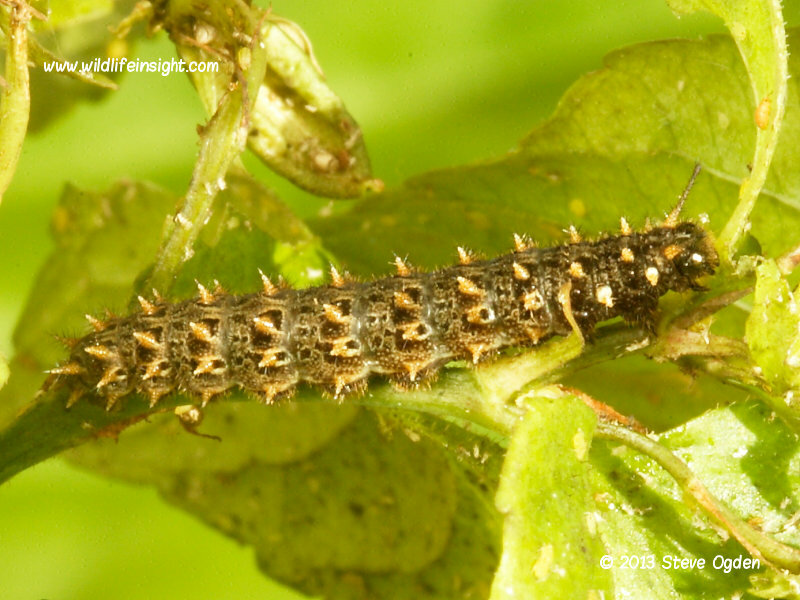 The caterpillars of the Small Tortoiseshell Butterfly and the Peacock Butterfly are often seen in dense webs on nettle. 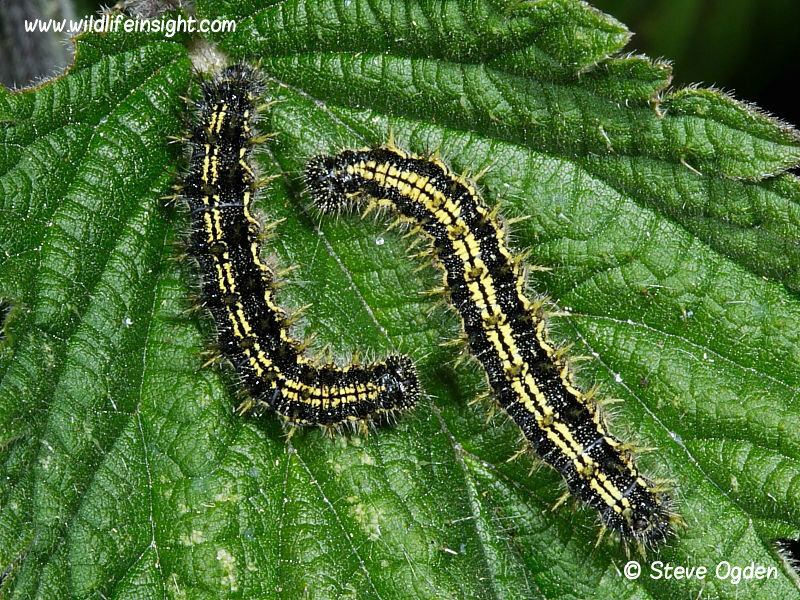 The caterpillars of the predominantly migrant Red Admiral Butterfly are common and best found by looking for their distinctive nettle tents. 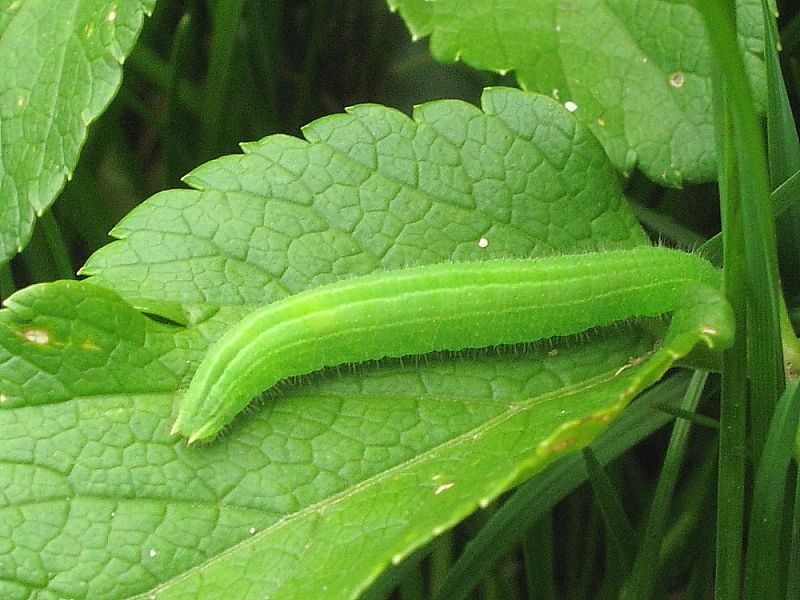 The distinctive ‘bird dropping caterpillar’ of the Comma Butterfly is often come across on the leaves of Common Nettle, Hop and Elm Trees. 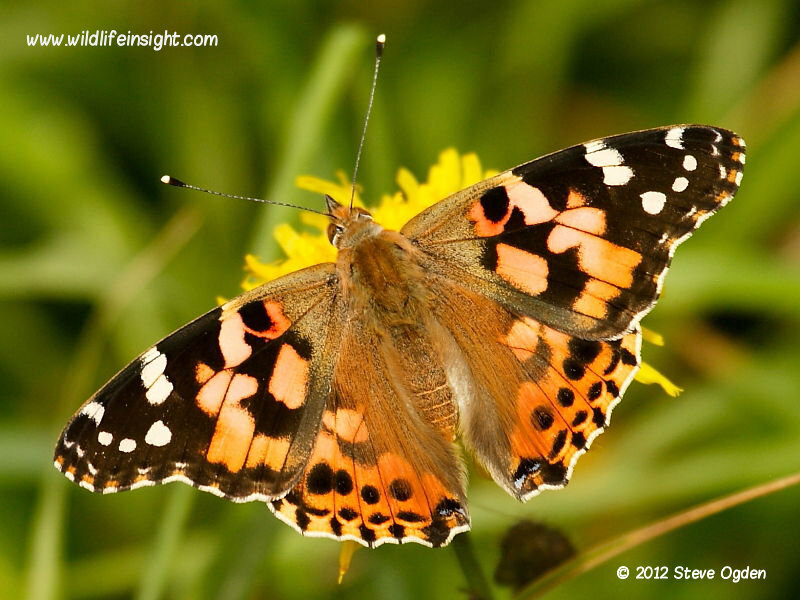 In some years the caterpillars of the migrant Painted Lady are found in large numbers on species of thistle. 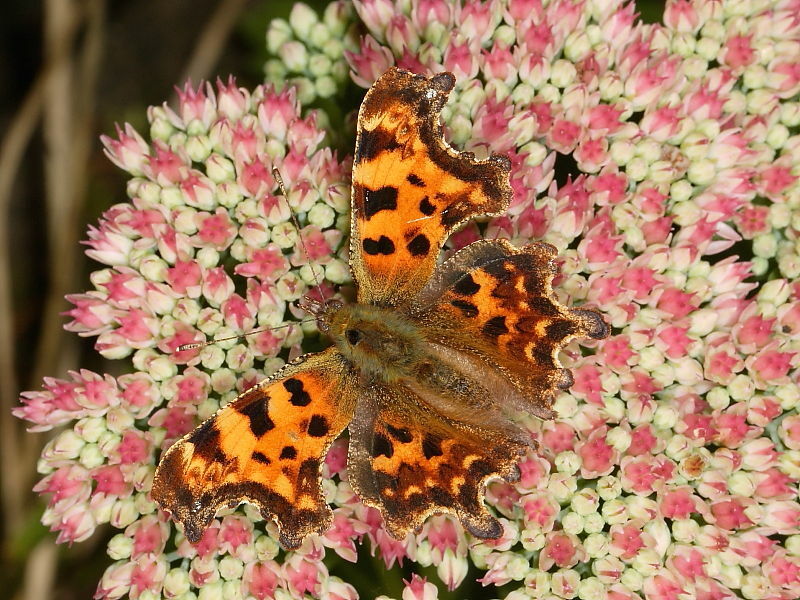 Also in the Nymphalidae butterfly family are several of the most common butterflies seen in more open countryside. 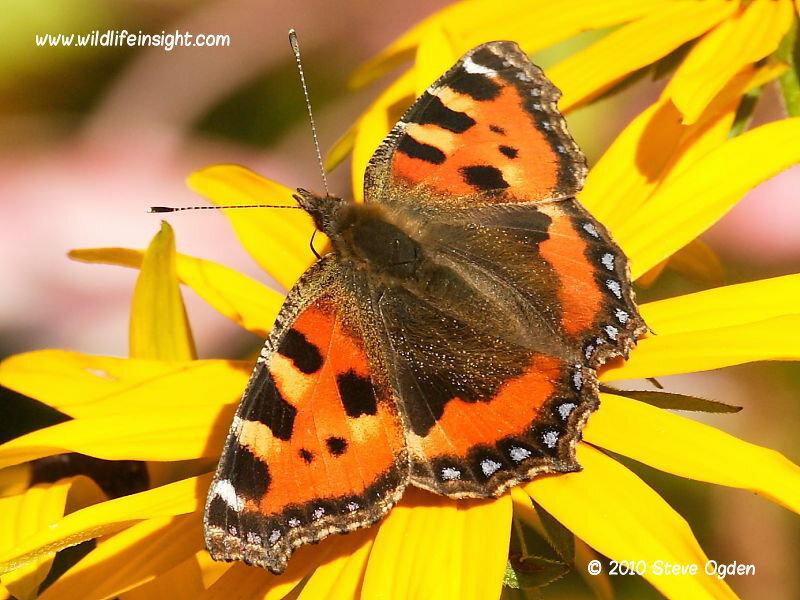 These include species of ‘Brown butterflies’ that have caterpillars which live amongst grasses, often feeding at night, and are consequently less likely to be seen unless specifically searched for in the dark. 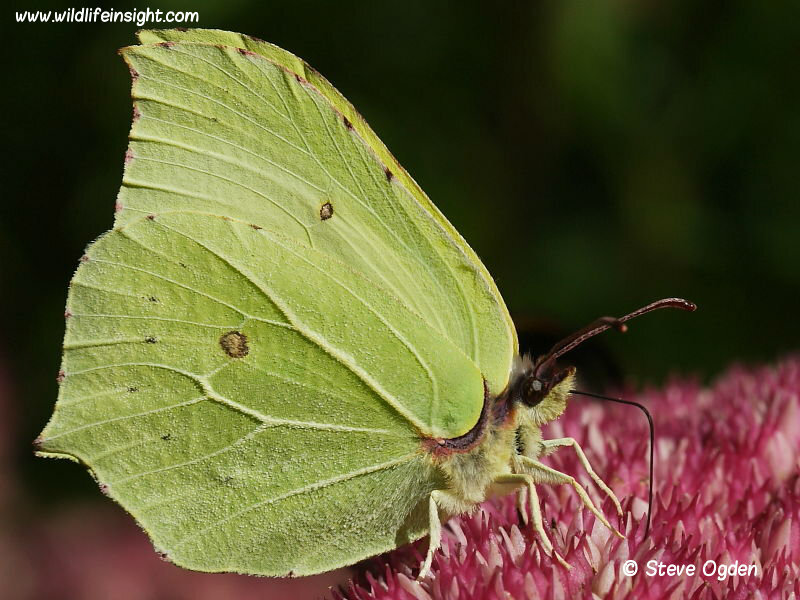 These include the caterpillars of the Meadow Brown Butterfly, the Gatekeeper Butterfly and the Ringlet Butterfly. 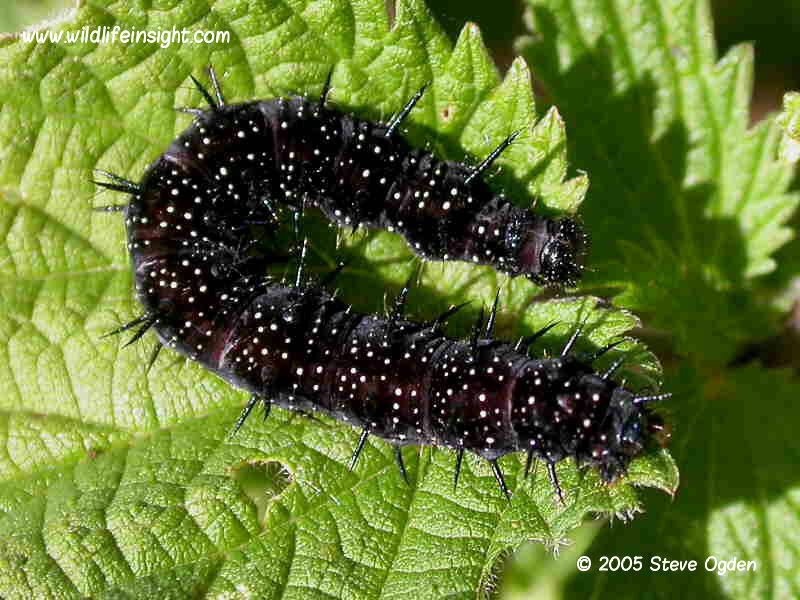 The caterpillars of the Speckled Wood often found in less exposed habitat, around hedges and on the edge of woods, also feed out of sight amongst grasses. 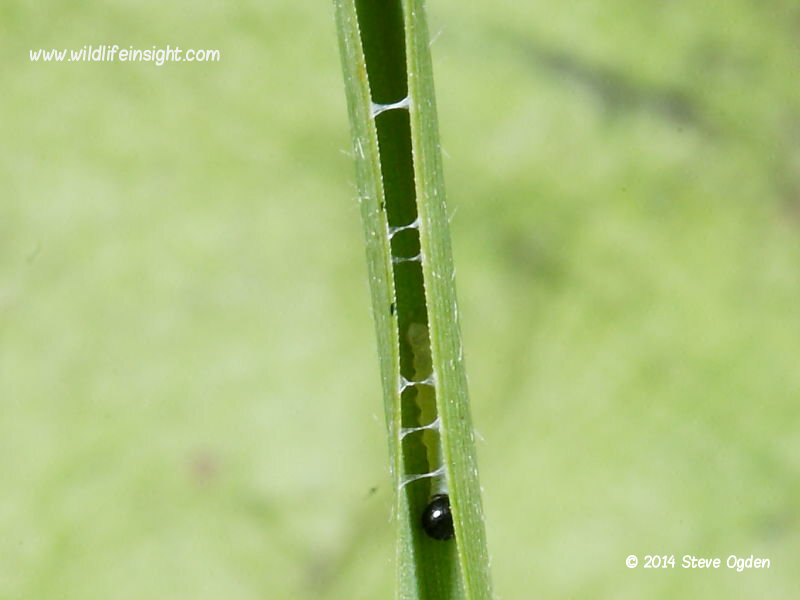 Of the Fritillary butterfly caterpillars those of the Marsh Fritillary Butterfly are the easiest to see. 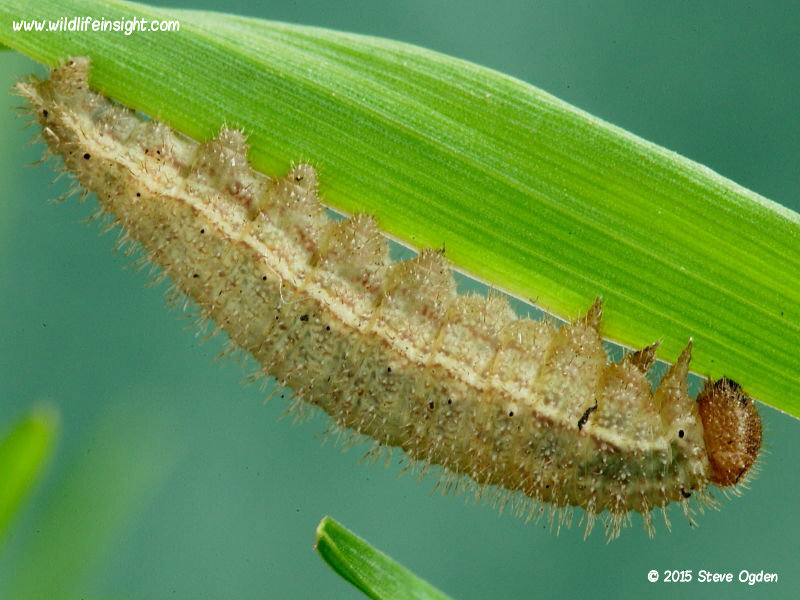 Although a localised butterfly (with red data book status) where there are populations the caterpillar’s webs are easily spotted on their larval food plant Devils-bit Scabious. 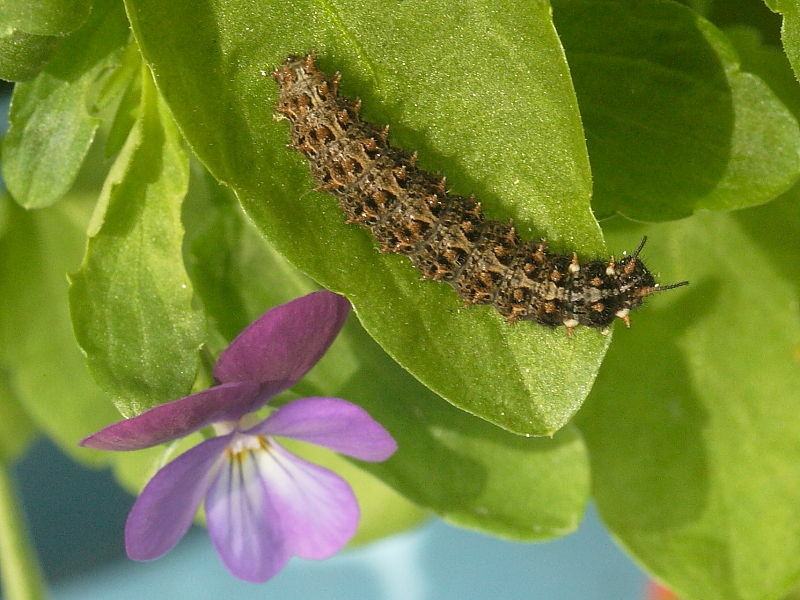 In common with many of the other Fritillary caterpillars those of the Small Pearl-bordered Fritillary Butterfly are less likely to be seen unless specifically searched for, feeding low down out of sight amongst the larval food plant of Violets. 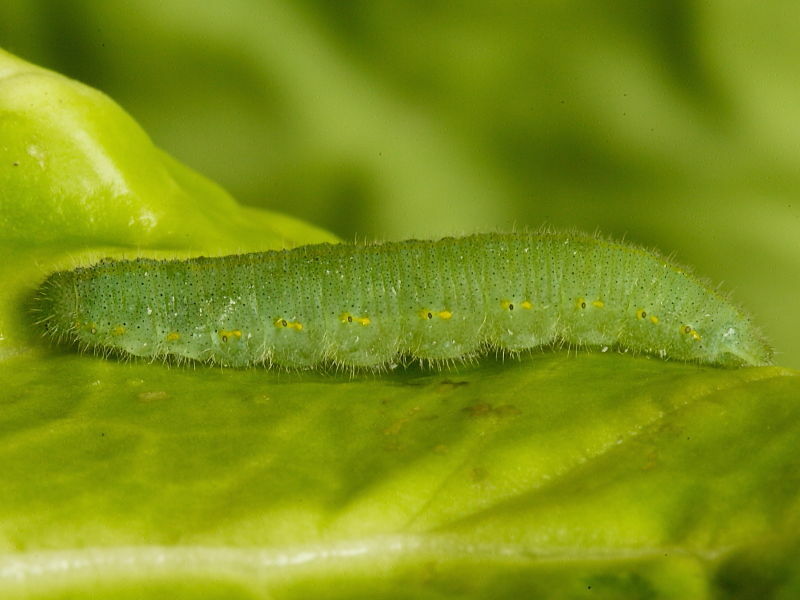 If a caterpillar is not found in the butterfly caterpillar gallery it may be a species belonging to another family of insects and so it’s worth checking to see if it appears in either the moth caterpillar picture gallery, sawfly larva page or other insect larva picture gallery.